hd00:10Underwater coral reef in the deep blue water. Colorful set of soft corals, blue sea and swimming tropical fish. 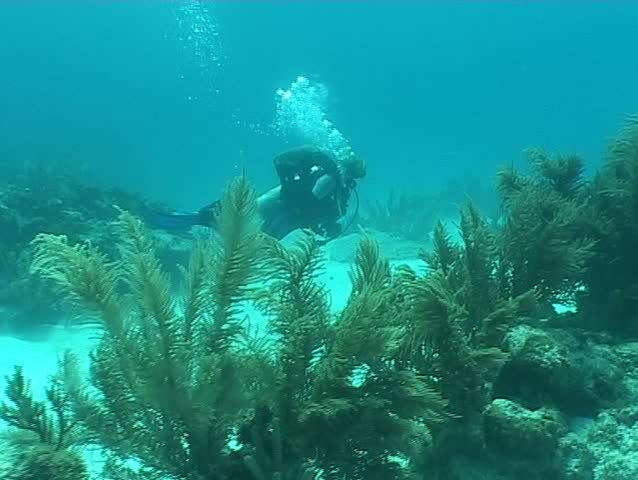 Moving corals and underwater wildlife. Scuba diving with fish.